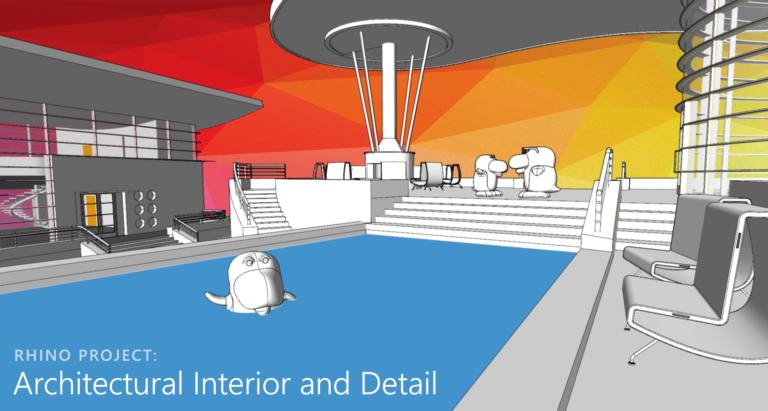 Dave ‘Professor3D’ Schultze is proud to announce the release of his tenth course for lynda.com, Rhino: Architectural Interior and Detail. Running 1 hour and 47 minutes, this course is the second of three in a series involving retro-themed buildings that make the material fun to watch and learn. In this 13-video course, work focuses on building walls, doors, windows, and stairs, complete with landings and railings. Stairs are made easy with strategies to simplify the math. Using a fun, retro space-age design, Dave shares his favorite tips and tricks for a faster, more efficient workflow in Rhino. Those interested in previewing the course — or any of the other 5,000 courses on lynda.com — are invited to a free 10-day trial. If you like this course, here’s a link to all ten lynda courses by Professor 3Dave. You need to be a member to watch the whole course, but the first video [seen above] is free for previewing. If you join, lynda.com is only $25 per month and you can cancel anytime.